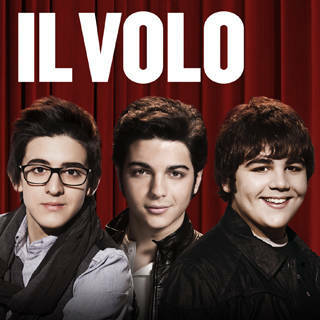 Album cover of Il Volo's CD. 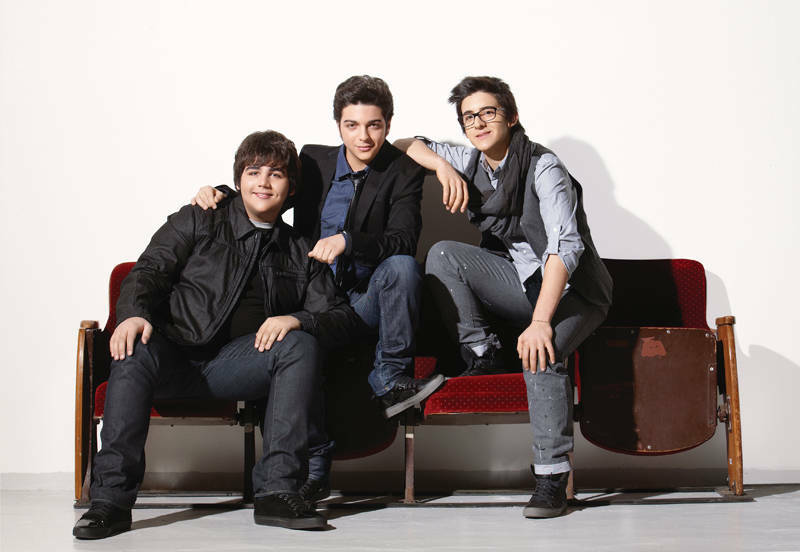 The popular Italian TV show launched Il Volo's carreer. Il Volo are taking the US by storm. The three teenage tenors from Italy have taken the US by storm with the release of their self-titled debut album. they have gone far since their debut on the popular Italian talent show "Ti Lascio Una Canzone." Il VOLO has made appearances on The Tonight Show with Jay Leno, Good Morning America and The Ellen DeGeneres Show. Their NYC live concert is on October 3rd at the Beacon Theater. IL VOLO, the three teenage tenors from Italy who have taken the US by storm with the release of their self-titled debut album, joined forces with Ferrarelle to bring the passion of the “Made in Italy” brand to the US as the Italian water sponsors the first-ever US tour for the band. Building upon the “classical pop” musical category, IL VOLO has captured the hearts of the nation following stirring performances on American Idol where they received a standing ovation from judges and audience members and CBS' The Talk. Already platinum in their native Italy, IL VOLO showcases the astonishing vocal talents of Piero Barone (17 years old), Ignazio Boschetto (16 years old), and Gianluca Ginoble (16 years old) as they perform both new and traditional classically influenced pop songs. In May 2009, Piero, Ignazio and Gianluca appeared on the popular Italian talent show "Ti Lascio Una Canzone" and dazzled television viewers with their flawless rendition of the Neapolitan standard "O Sole Mio." The show features a competition between the most beloved songs in the history of Italian pop music. The songs are performed by young singing talents, who interpret the best loved songs of Italian pop music during each broadcast. The young singers are selected from among the leading students of today’s most prestigious music schools. They are assigned songs as solos, duets, and trios; they sing some songs all together as an ensemble. They may also perform with the show's guests. A 30-piece orchestra backs the performances. The show is extremely popular but controversies are not lacking as many see the way the young participants are portrayed as exploitative. During their participation at the show the group was called the Trio but then the boys decided their group needed a name. "IL VOLO," meaning "flight," was chosen to signify the feeling that these three young tenors were about to spread their wings and fly. It wasn't long before IL VOLO’s manager — Michele Torpedine landed a worldwide recording contract for the trio with Universal Music Group which released IL VOLO's self-titled debut album in Italy in November 2010, where in less than three months, with no radio or video airplay, no single sales and only a few television performances, it was certified platinum. IL VOLO became the first Italian artists to sign with Geffen Records in the United States. IL VOLO first came to America this past February during awards season where they performed at many exclusive events including a showcase at Geffen Chairman Ron Fair's home, a private pre-Grammy dinner at the home of Chairman/CEO of Interscope Geffen A&M Jimmy Iovine and at TWC head Harvey Weinstein's pre-Oscar party. Il VOLO has made appearances on The Tonight Show with Jay Leno, Good Morning America and The Ellen DeGeneres Show. This month they will appear live on The Today Show in NYC, leading up to a dedicated PBS Special and Fund Drive on October 24th. PBS believes that the universal success of the boys will significantly increase donations to the organization. The band will embark on their first whirlwind nationwide tour sponsored by Ferrarelle USA, playing in venues from NYC to LA. They will also perform at the famed Atlantis Resort in the Bahamas in October. They will perform in NYC on Monday, October 3rd at the Beacon theater.